Daniel Ndambuki aka Mwalimu King’angi aka Churchill is arguably the king of comedy in East and Central Africa. He too has mentored the likes of Eric Omondi, Fred Omondi, Chipukeezy, David the student among others. Ugandan queen of comedy, Anne Kansiime known for her popular program, don’t mess with Kansiime decided to shock many after she posted a controversial message in her social media page. 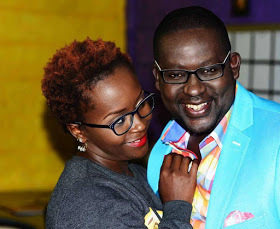 She had revealed that she could not picture how her offspring with Churchil will look like, something that Kansiime’s fans did not like and told her to keep away from Churchil because he is a family man. ‘’ I do’t even want to think what children would come out of this combination. Just got my head spinning. #MuchRespectForOurManChurchill.